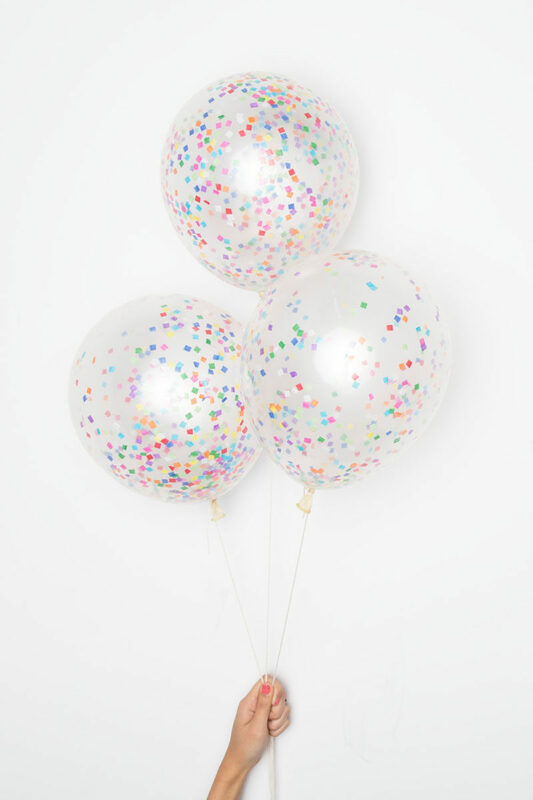 Confetti-filled balloons bring color and fun to the party and give a youthful feel to the gathering. Confetti Balloons from Knot & Bow. 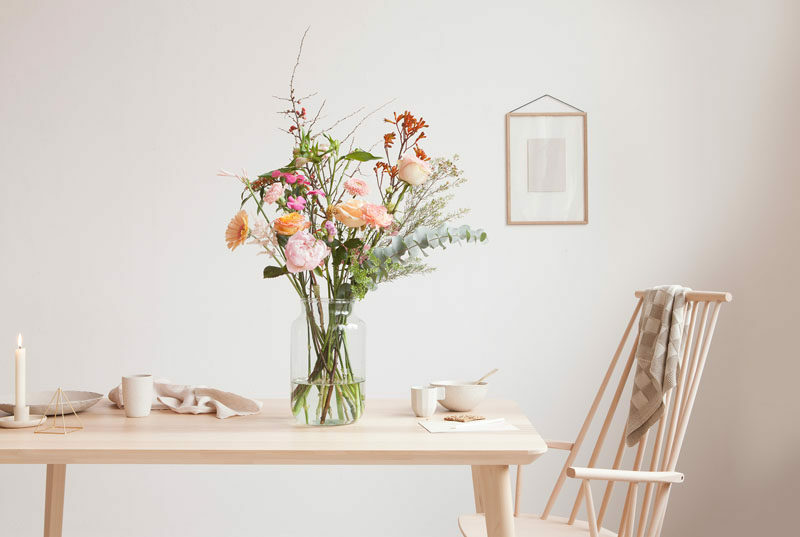 Flowers are also a great way to brighten up a modern tea party and add a sophisticated touch to it. 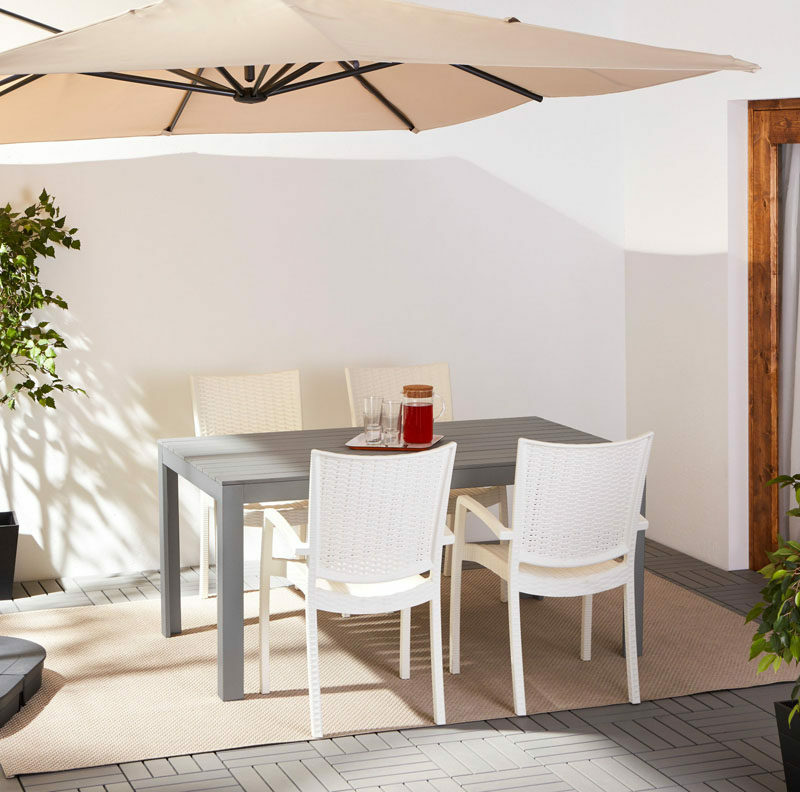 Comfortable chairs and a large enough table are essential for hosting a successful afternoon tea. 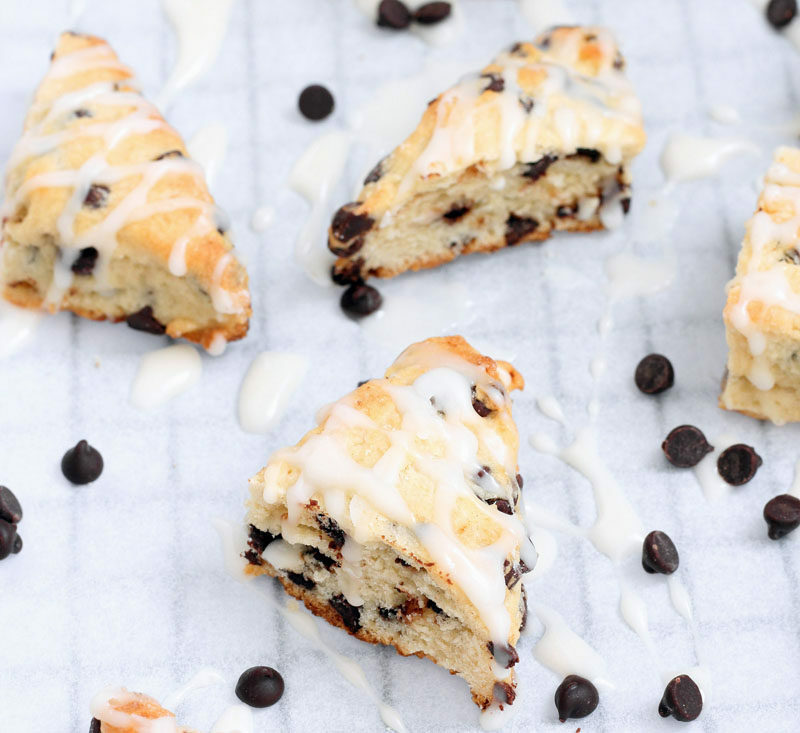 Guests tend to sit for much of it and you don’t want to be running back and forth between the kitchen and the table bringing out the tea and treats. FALSTER / INNAMO (Table and 4 armchairs) from Ikea. 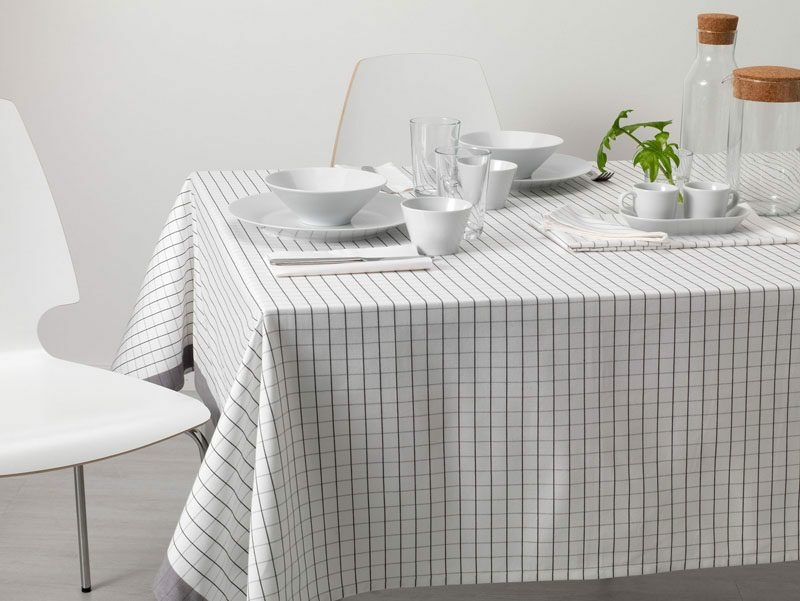 When decorating your table, the first thing you’ll want to decide on is whether you’ll use a table cloth, placemats, napkins, all of the above, or none of the above. 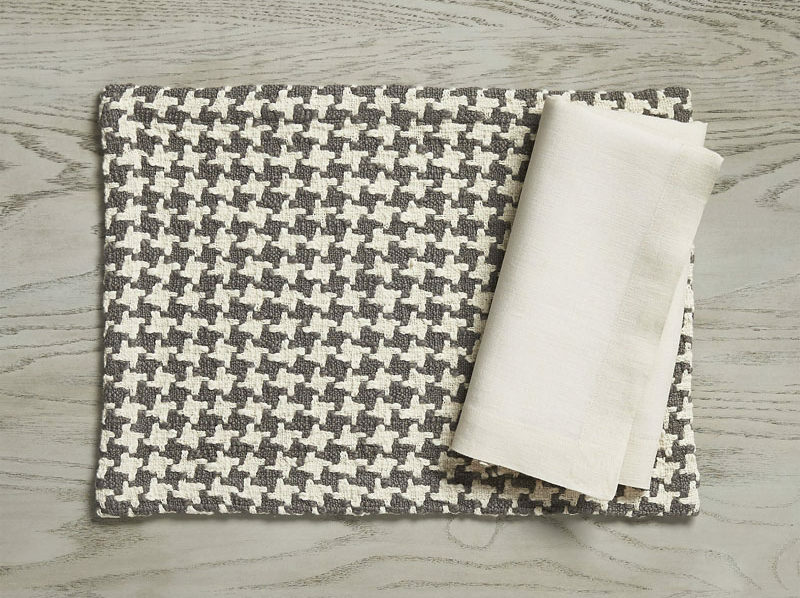 Whatever you decide on, make sure it has a simple pattern and a nice texture. None of that thin floral fabric or layers of lace please! Perhaps the most important part of the tea party (with the exception of the actual tea) is the tea pot. A clean design in a solid color is the best way to keep it modern and contemporary. 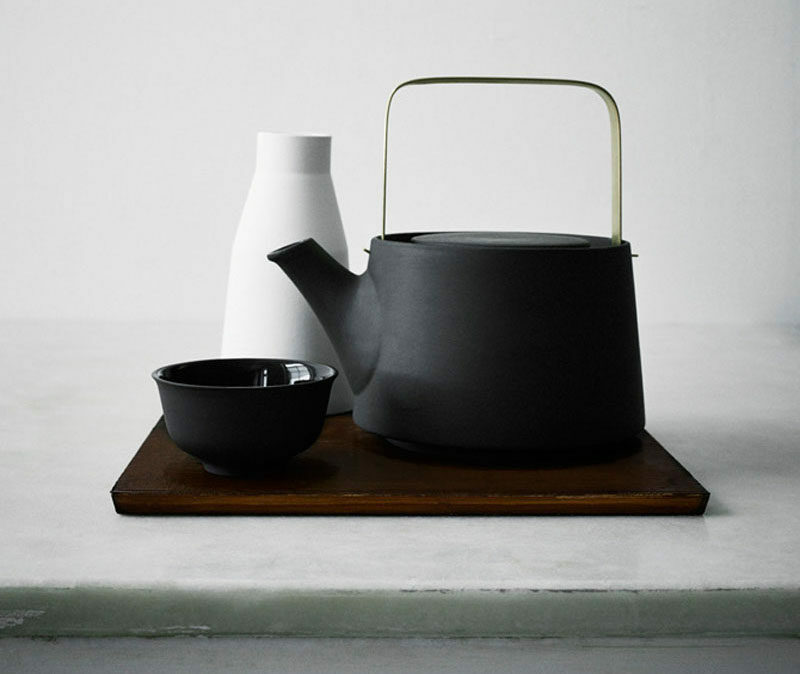 Black Teapot by Anna Lerinder. 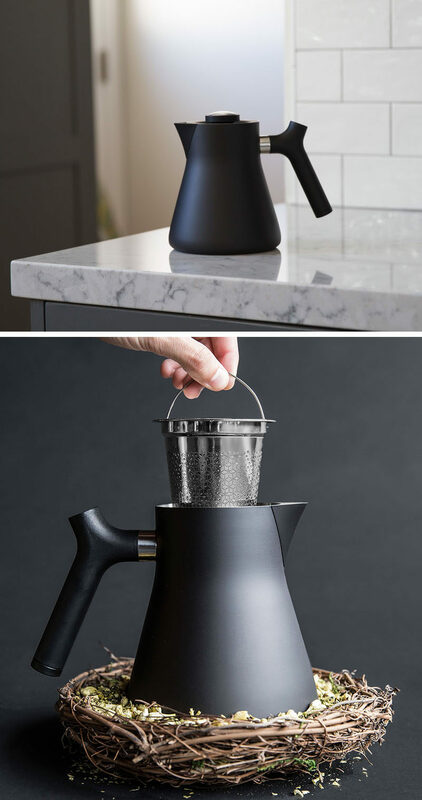 Raven stovetop kettle tea steeper from FELLOW. 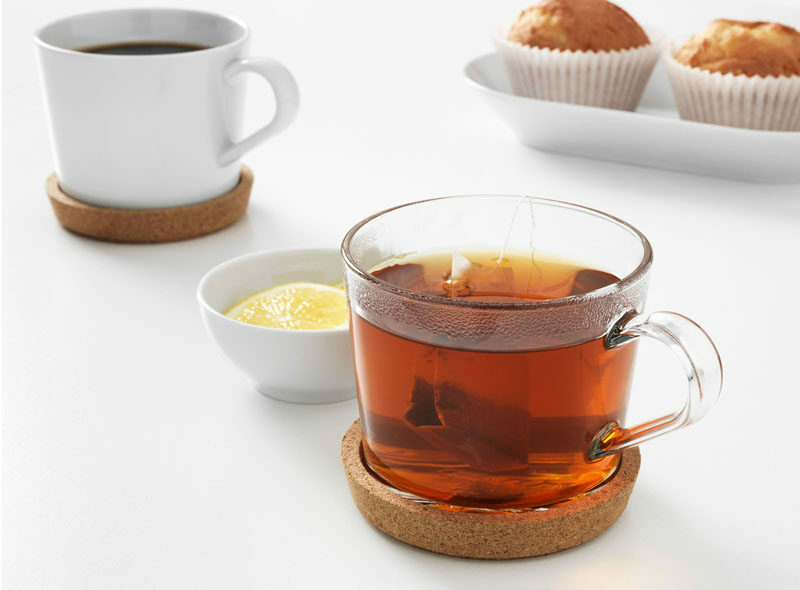 Make sure you protect your table from the hot kettle with a modern trivet of some kind. 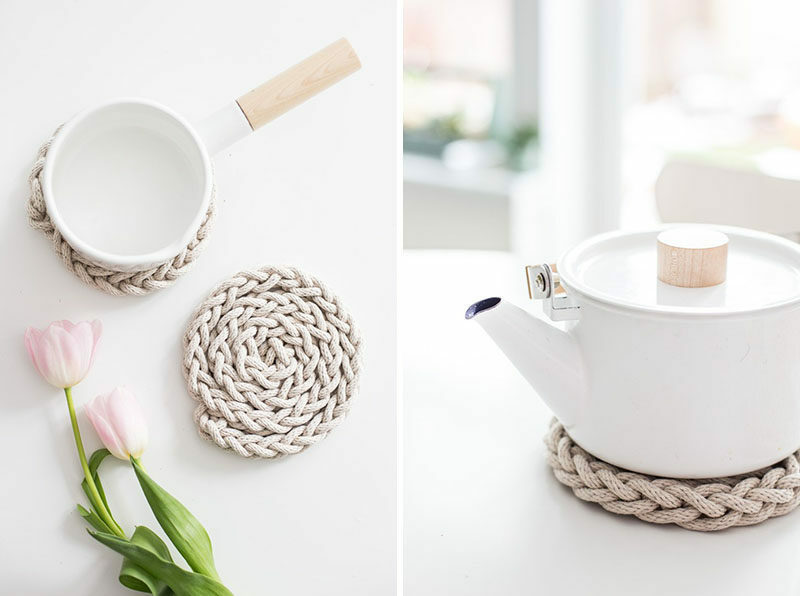 You can make your own finger knit trivet by following this tutorial. Your guests will also likely need something to drink their tea from, and it can’t be gold plated floral china. Instead, offer them simple ceramic tea cups or clear glass ones that show off the pretty colors of the tea inside it. Mr & Mrs Little Cup by Sue Pryke. 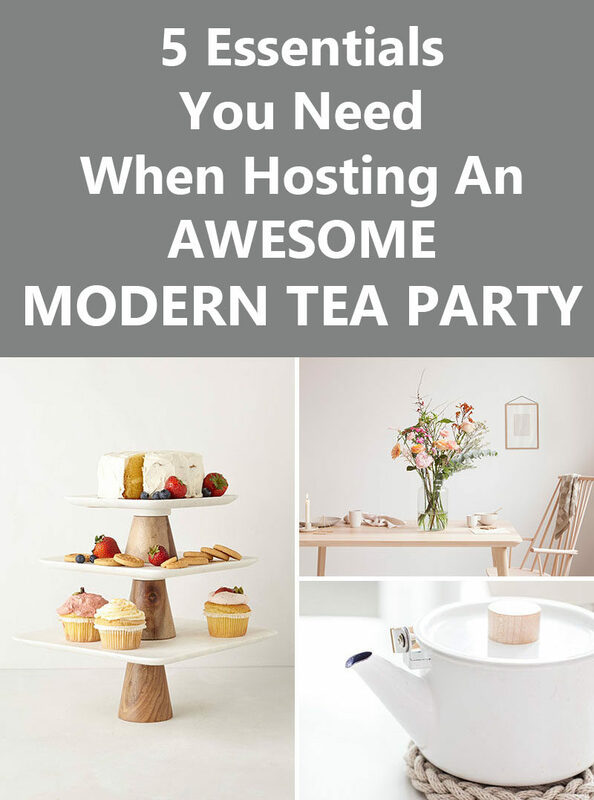 Not all of your guests will want the same kind of tea. Some may only be able to drink herbal while others might prefer black. 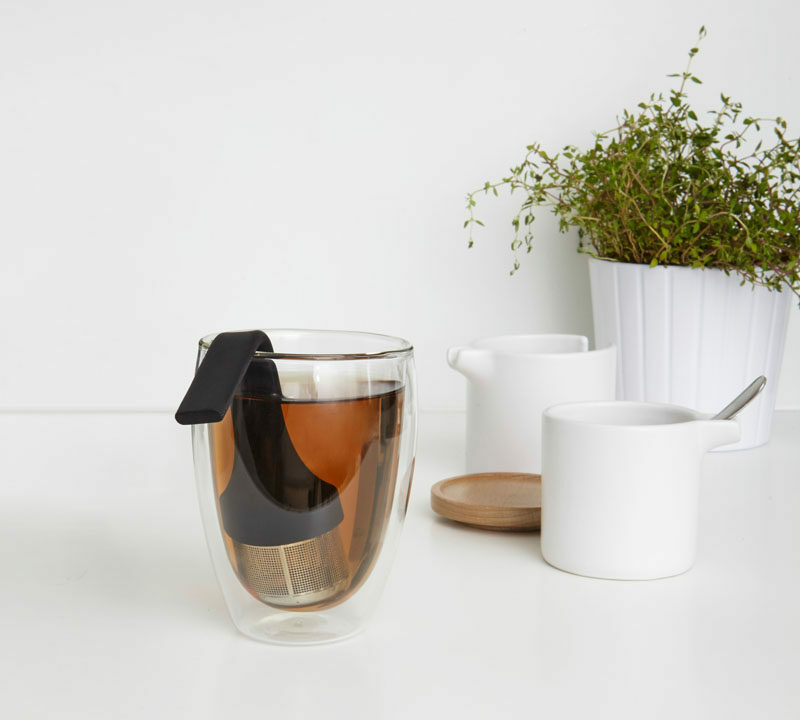 Having a modern tea steeper on hand ensures that all of the guests at your afternoon tea will enjoy their tea. Tea infuser designed by Eugenie de Loynes. Cream & sugar containers designed by Moe Takemura. Both available through Umbra. People can be finicky when it comes to how they enjoy their tea. Some like it black, others prefer it milky, while others need it sweet. 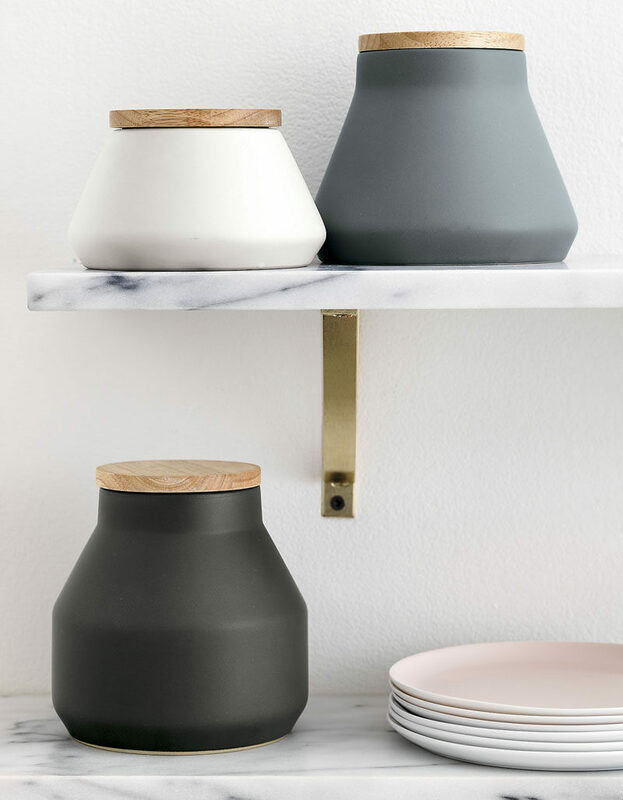 Meet all of their needs by having it all within reach in beautiful modern canisters much finer than china. 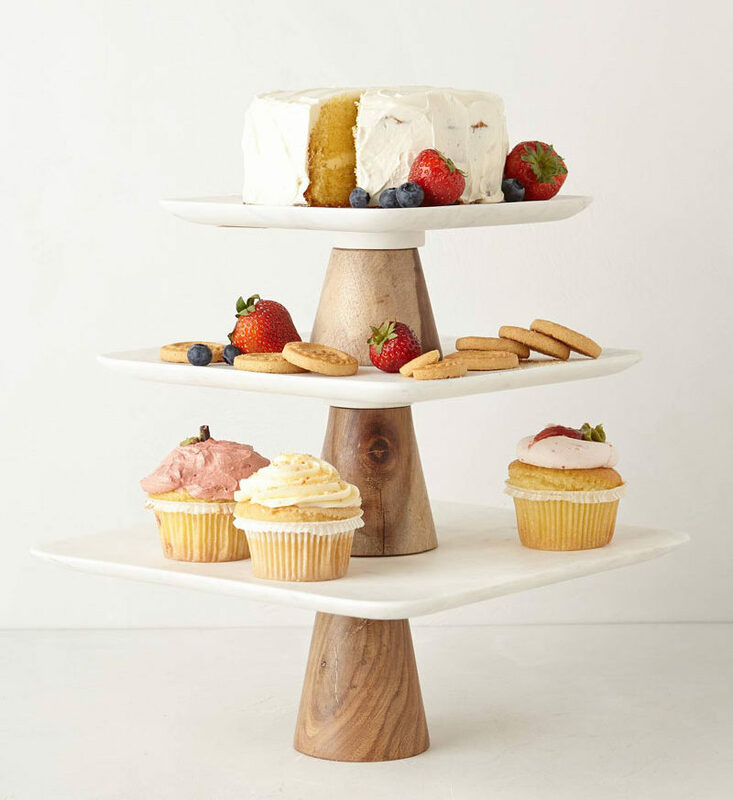 Serve your snacks on a modern tiered cake stand to make sure your guests can help themselves whenever they like without having to leave the table. 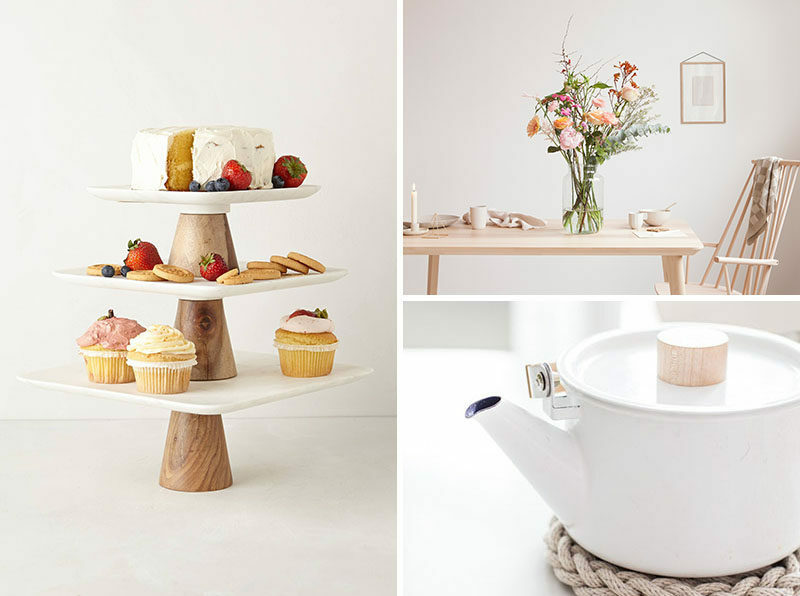 At a contemporary afternoon tea, snacks that require forks and knives are out and finger food is in. 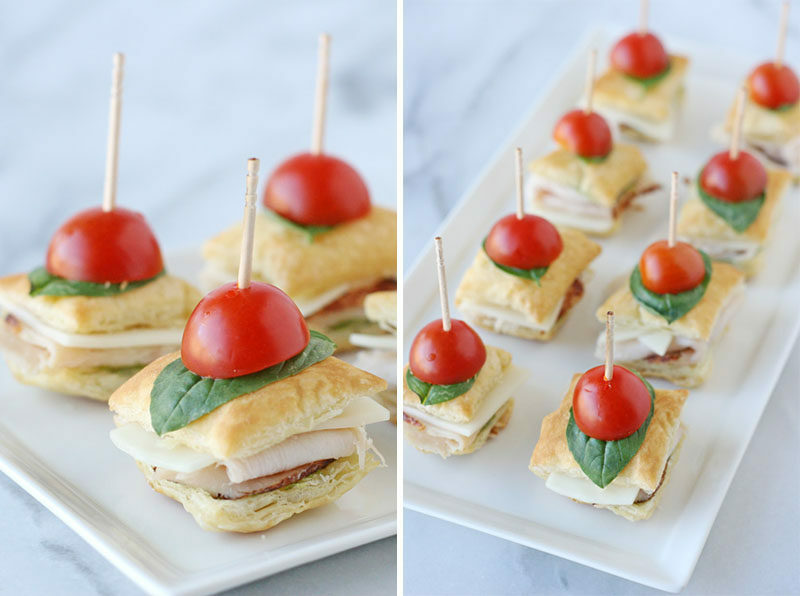 Mini scones and tiny sandwiches are much easier to eat and pair perfectly with afternoon tea.